Four years of revolution have not left Libya in the state its people were expecting. Huge political division and armed conflict are tearing the country apart. Lives have been lost and Libya’s resources wasted. It is a situation that is worrying the international community, particularly Libya’s neighbouring North African countries. We discussed the situation in Libya with politician, military leader and president of the nationalist Islamist Al-Watan (‘Homeland’) Party, Abdulhakim Belhadj. Belhadj’s backround lies in Salafi-Jihadism. He fought in Afghanistan and was later imprisoned in the US and Libya for establishing the Libyan Islamic Fighting Group. Belhadj also participated in the downfall of the capital Tripoli during the 2011 uprising. He now introduces himself as a politician and a moderate Islamist, calling for discussion and rejecting terrorism. 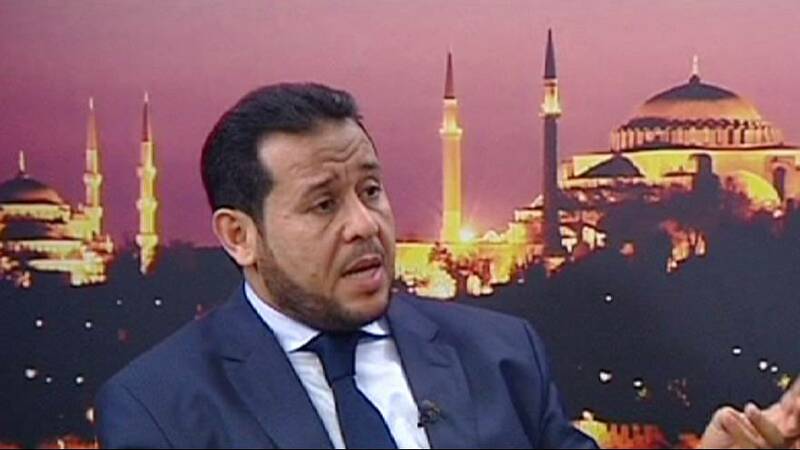 Abdulhakim Belhadj: “The problem right now in Libya is totally political. This issue has resulted in Libya being divided into two parliaments: the ‘Libyan Parliament’ and the ‘National Congress’. This means there are two legislative bodies, two governments and even two armies. Abdulhakim Belhadj: “It started when the retired General Khalifa Haftar came back onto the scene. He took part in a military coup on the ruling General National Congress (GNC), before forming the current parliament in Tobruk. Abdulhakim Belhadj “No, of course this is not true. And people observing the situation in Libya know who Abdulhakim Belhadj is. I resigned the presidency of the Tripoli Military Council, which comprised more than 23,000 fighters and my goal is not to cling on to this scene or position. Neither did I order any fighter to do so. Abdulhakim Belhadj: “I want to reiterate that I am not one of those people who is armed, who is walking around with weapons. But, I can say that those who are leading the scene now and are carrying out the orders of the GNC are those who have had legitimacy from the beginning. Abdelhakim Belhadj: “We support this and we are calling for talks. We have sat down several times with international organisations, such as the United Nations, and we have introduced many initiatives to try to reach a solution. But, we don’t think that what the UN did recently at the conference in Geneva was effective. Abdulhakim Belhadj: “That’s not completely true. Our only comment on the confusing scene in Libya is as follows: due to a series of weak governments in our country following the uprising of February 17, 2011, plans to develop security and military institutions have not been carried out. So, Libya is awash with militia groups and armed entities, which do not have the official support needed to legitimise them. Abdulhakim Belhadj: “I stand with my brothers, who are seeking to find a solution to the Libyan crisis regardless of their political affiliation. Because, democracy means accepting the principle that people have different points of view. We have taken this on board. Abdulhakim Belhadj: “You are going back to our roots and the war we fought against the Muammar Gaddafi dictatorship. That battle was linked to the spatial and temporal conditions at the time. “Because we were fighting a dictatorial regime in Libya, it was necessary for us to use weapons in order to save the Libyan people from Gaddafi’s rule. Abdelhakim Belhadj: “Yes. I was tortured in Libyan prisons by Libyan intelligence officials, with the help of British intelligence. We discovered evidence of this after entering the security headquarters in Tripoli during the revolution. We found documents proving that the British Intelligence Agency MI-6 were involved, as well as some other people who handed me over to the Gaddafi regime.